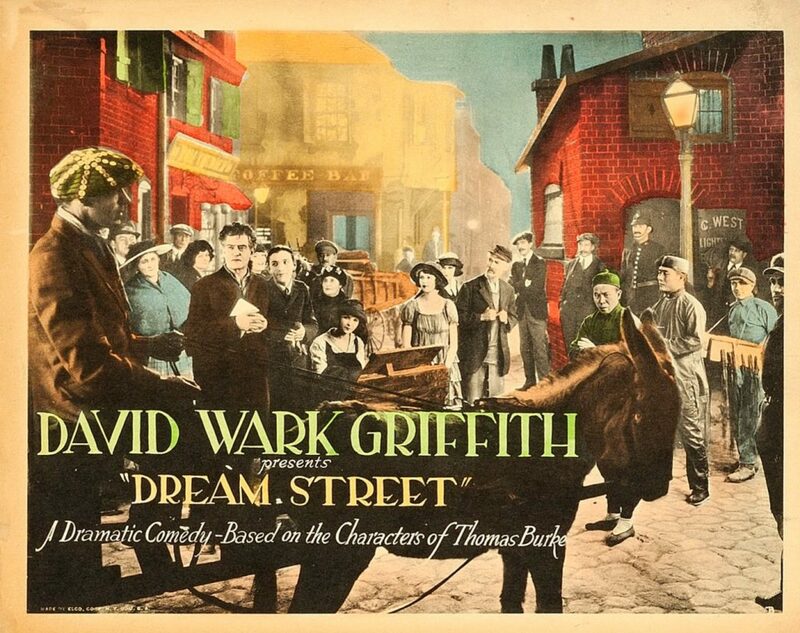 Dream Street is a 1921 American silent romantic drama film directed by D. W. Griffith, and starring Carol Dempster, Charles Emmett Mack, and Ralph Graves in a story about a love triangle set in London, and based on two short stories by Thomas Burke, “Gina of Chinatown” and “Song of the Lamp”. The cast also features Tyrone Power, Sr. The film, released by United Artists, was poorly received in its day and critics still consider it one of Griffith’s worst films. Posted in Romantic movies Tagged 1921, Carol Dempster, Charles Emmett Mack, D. W. Griffith, Ralph Graves, silent movie, Tyrone Power Sr.